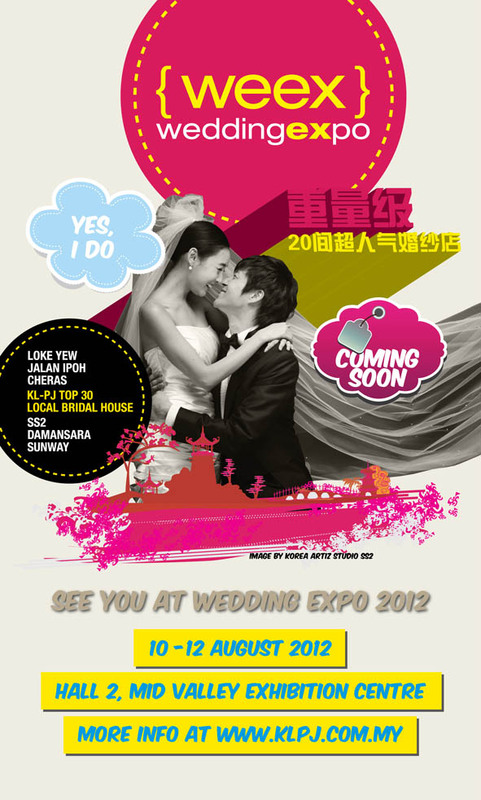 Wedding Expo 2012 (WEEX), also known as weddingexpo.com.my, will be held from 10-12 August 2012 at Mid Valley Exhibition Centre. Featuring 30 exclusive local bridal houses under the Wedding Expertise Association Kuala Lumpur and Selangor (WEA), who have all committed to provide only the best services and industry agreeable and affordable wedding packages at satisfied quality level. At WEEX, couples can also expect KL-PJ Top 30 Local Bridal Houses.